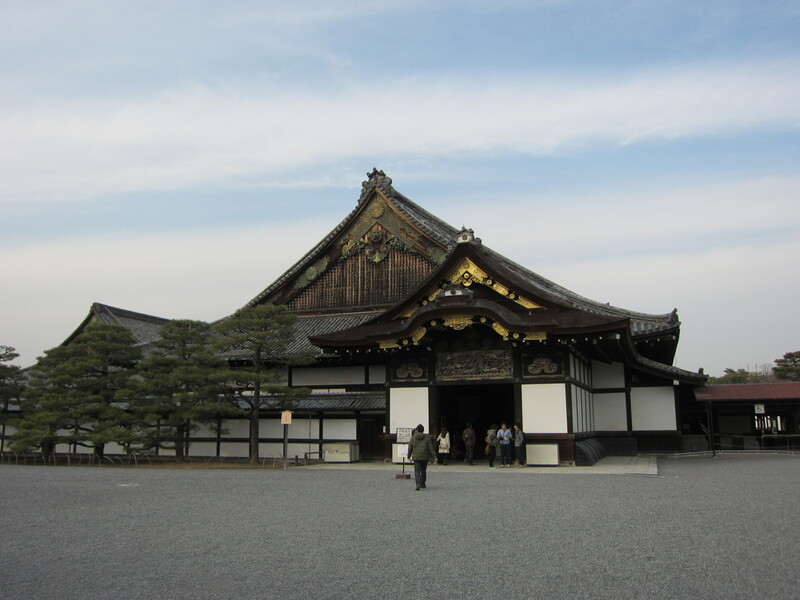 Nijo Castle is one of the World Heritage Sites in Kyoto. 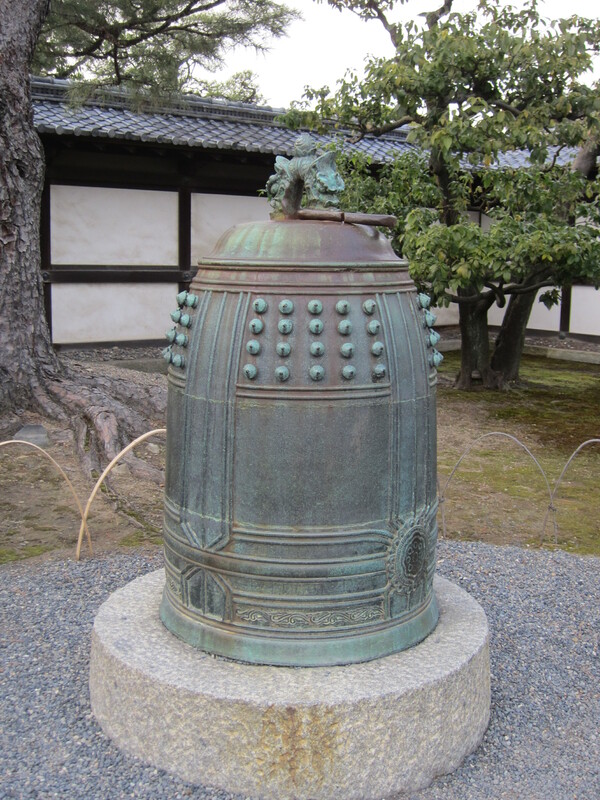 This castle is historically and culturally valuable, although it lost its castle keep in 1750 due to lightening. 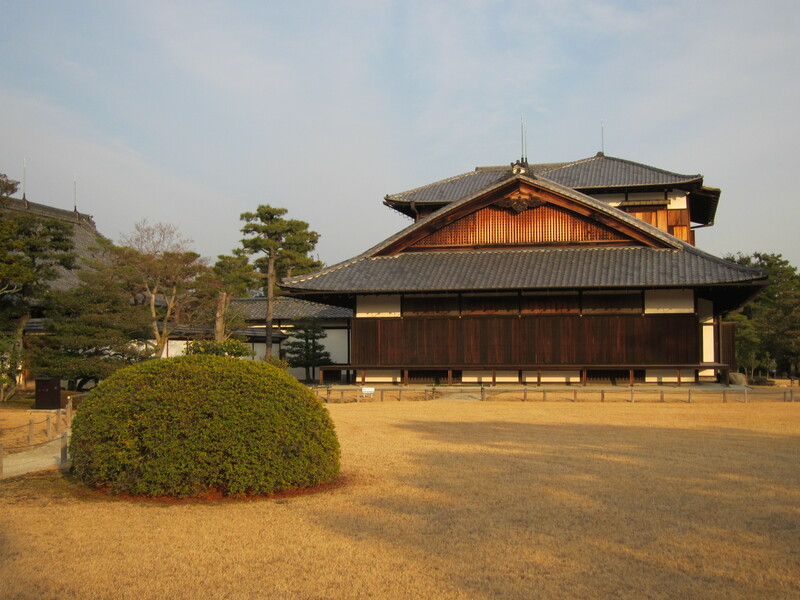 Visitors here can enter into abuilding called Ninomaru, where the historical period of rule by Samurais ended. 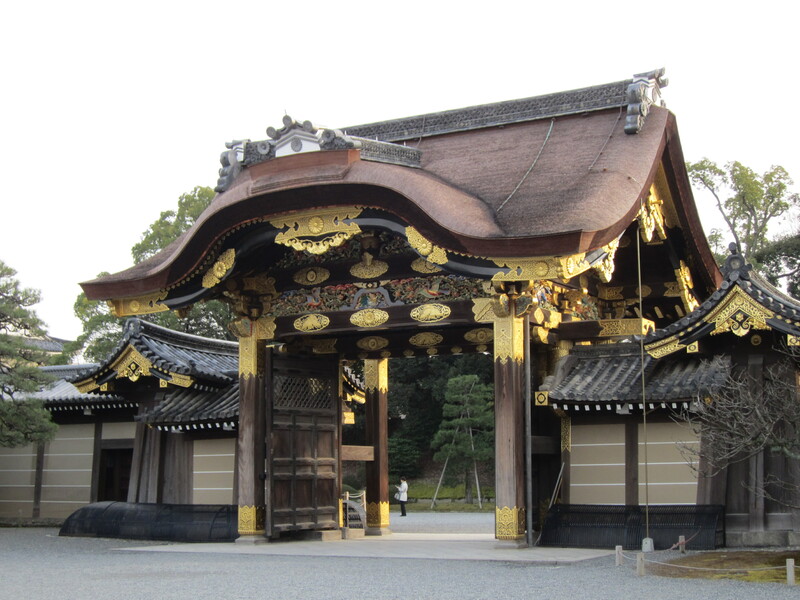 And the gates to Ninomaru are astonishingly gorgeous and rustic. 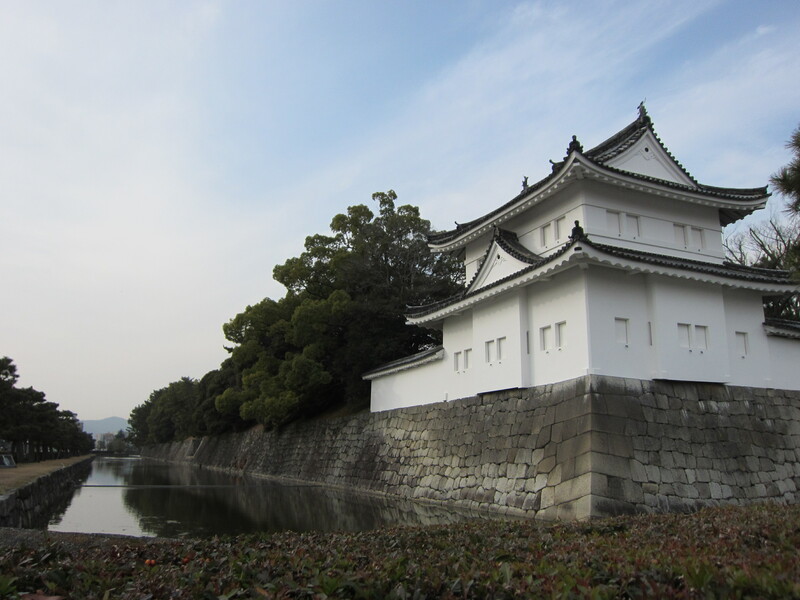 The premises of this castle are very large and it will take almost one hour to see all the buildings and gardens. Unfortunately, people can not take pictures inside the Ninormaru building. But they are free to take pictures elsewhere. 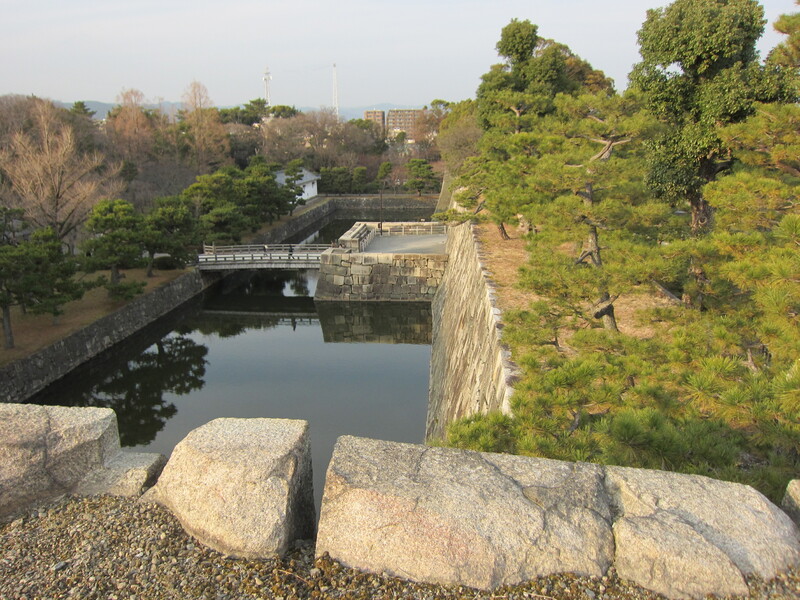 There are a wide variety of plants in Nijo Castle, which make it worth visiting in every season. The following pictures were taken in the middle of winter 2014. The landscape is relatively colorless compared to spring. 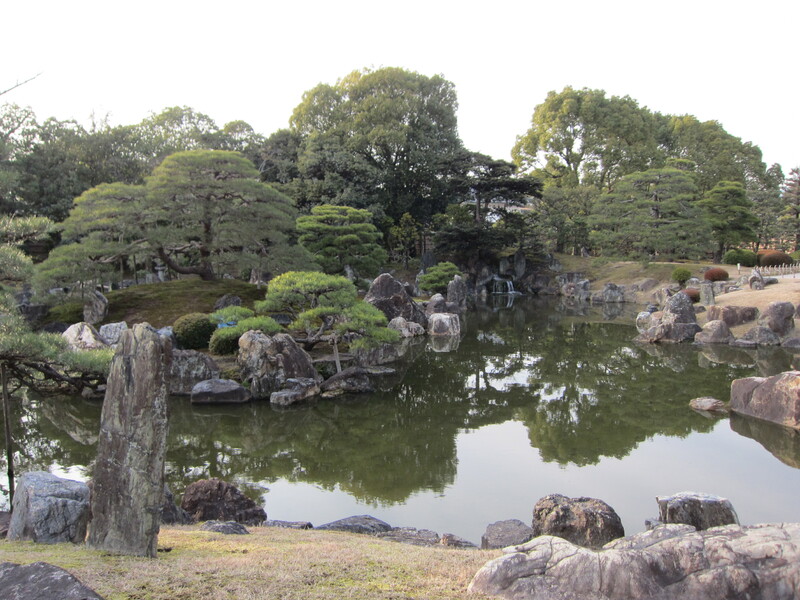 Nonetheless, winter’s modest atmosphere and landscape are also truly beautiful and they reflect the Samurai’s point of view, which encourages simplicity more than being showy.